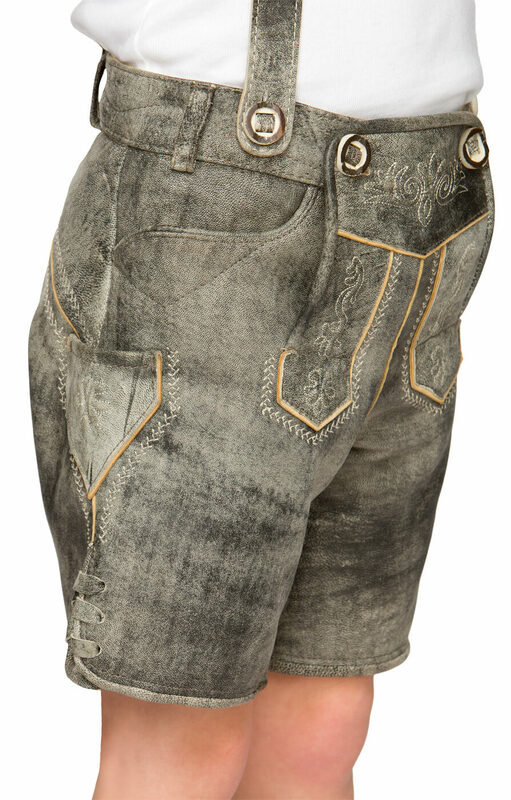 Kid’s Leather H-Beam Shorts P-200 in Grey. 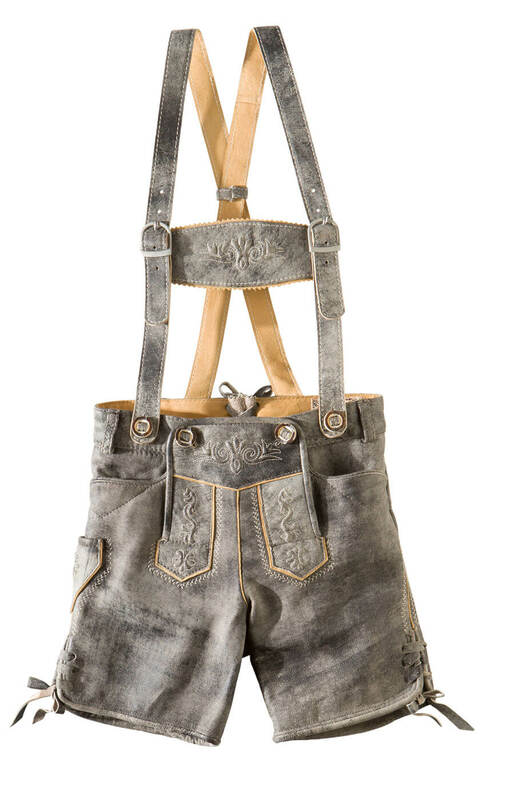 Boys who like to be bold can follow in their father’s footsteps when they step out in these antique leather shorts. 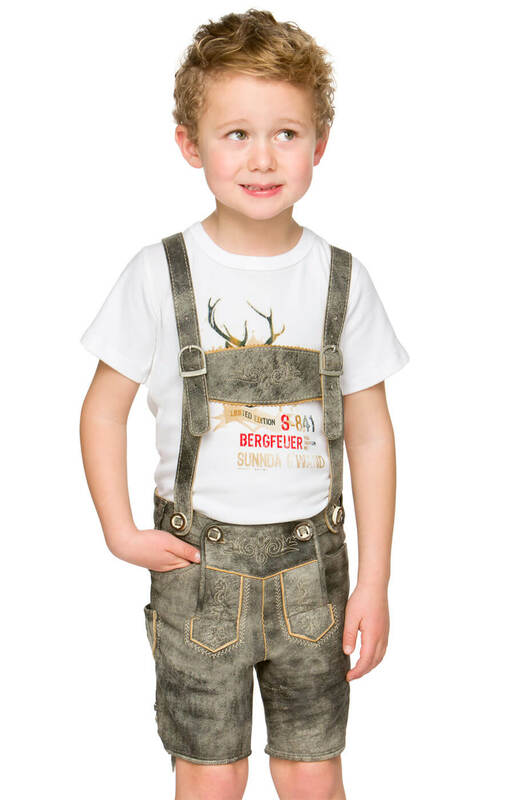 The shorts have been created in the traditional German style and boast classic Bavarian embroidery on the bib, which buttons onto the waistband. 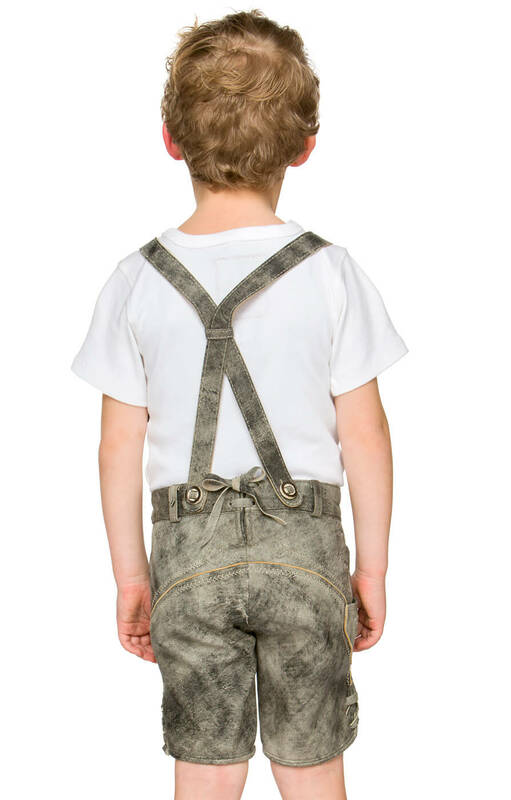 The shorts come complete with the classic German H-beam braces, which also button onto the waistband and can be detached if desired to create a new look. In addition to large pockets, the shorts also feature two smaller pockets that are sure to be very useful to any boy on the go.